Grapes harvested early in the mornings. Pressed with sticks. Temperatures from 14 to 16 °C. Partial malolactic fermentation (90%). Soft works on fine lees. In stainless steel vessels to preserve intact the aromatic and flavor profile of the fruit. No oak. Grapes coming from our high altitude vineyards in Mendoza. Grapes harvested early with the aim of avoiding high alcohol content and over maturity that takes away freshness, expression and personality. Harvested with cool morning temperatures. Pressed with sticks. Fermentation temperature: 14-16 ° C. Partial malolactic fermentation (90%). Very light movement of lees. Natural tartaric stabilization in stainless steel. The wine is kept in stainless steel tanks to preserve the aromatic profile and the fruity flavors. No contact with oak. Due to its absence of contact with oak, it presents pale, greenish colors. 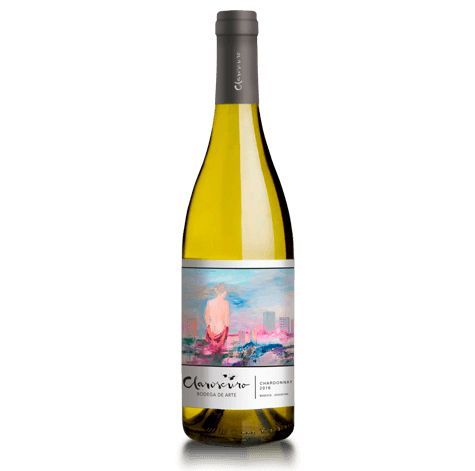 With respect to aromas it presents those typical of chardonnay, namely tropical fruits and of stone, but with complex herbaceous and citric notes due to its origins in a cold geographic zone. In the mouth it demonstrates a great freshness without diminishing its volume and persistence, a result of the work on fine lees over several months.